As competition gets tougher and the operating environment continues to be challenging, diversifying portfolios may be the way to go for most companies, but not for REDtone International Bhd. The integrated telecommunications service provider has only one plan in mind, and that is to focus on its current businesses and add value for its clients’ businesses. “When we offer infrastructure, we offer Internet access. The next [step] is to think about how do I add value for [our] customers? How do I increase the share of a customer’s wallet?” its group chief executive officer Lau Bik Soon told The Edge Financial Daily in an interview. He believes moving into the digital services space is a natural transition for REDtone from its traditional landline telecom business and it is complementary to its existing offerings. Incorporated in 1996, REDtone’s businesses now evolve around three key areas, namely telecom services, managed telecommunications (telecom) network services (MTNS) and industry digital services (IDS). The group’s clients encompass small and medium enterprises (SMEs), other enterprises and government agencies. For the financial year ended April 30, 2017 (FY17), telecom services accounted for 53.85% of the group’s revenue of RM156.53 million, followed by MTNS and IDS which contributed 43.74% and 2.4% respectively. It posted a net loss of RM4.89 million for FY17, due to impairment of fixed assets and goodwill. Going forward, Lau expects the telecom services and MTNS segments to continue to be the main driver of the group’s top-line and bottom-line growth. “They are recurring [revenue] businesses and their demand will continue to grow mainly due to the digital environment we are in right now. “[Meanwhile,] IDS will have a meaningful contribution to REDtone over the coming years. However, my two core businesses are still the main engine, at least for FY18,” said Lau. “Our IDS business is still in the growing phase, but [the] adoption [has been] fast,” he added. For the IDS business, REDtone has started to look for opportunities to expand in the Southeast Asian market. “I think that everyone knows that cloud communications is the way to go. Cloud gives you reliability, availability and scalability,” said Lau. Within the IDS area, Lau explained, there are three key technology areas comprising cloud services — via the flexiCloud platform (business-to-business cloud), the Internet of things (smart city) and teleradiology (healthcare solutions). Staying focused on what it does best, Lau said REDtone has narrowed down its focus to four key areas within the cloud business — retail, healthcare, e-government, smart city and supply chain. “From the retail perspective, we can offer big data analytics [to our customers] to find new distribution channels and new revenue streams,” said Lau, adding that REDtone will be able to find synergy with Berjaya Corp Bhd, which holds a 51.34% stake in the group. As for the healthcare area, Lau explained that through REDtone’s cloud platform, hospitals will be able to send X-rays, CT scans, as well as MRIs to the radiologist to interpret the images and report back to the hospitals. After posting losses for five consecutive quarters, REDtone posted a net profit of RM2.52 million in the fourth quarter ended April 30, 2017 (4QFY17). The turnaround in profitability from 4QFY16 was mainly due to lower project cost incurred and significant reductions in provisions. Lau said he was positive that REDtone would turn itself around for the full FY18. Currently, Lau said, REDtone is engaging with different government agencies, and undertaking some pilot projects in relation with a smart city. “It is relatively new in Malaysia and we are still exploring this area,” he added. The group has been registering growing trade receivables throughout the years. For FY17, REDtone saw an increase in trade receivables to RM103.98 million compared with RM86.55 million and RM84.73 million in FY16 and FY15 respectively. Lau said the trade receivables were mainly due from progress billings for major government projects under MTNS, as well as corporate voice and data services. He added that the increase in trade receivables signified that REDtone was securing more government projects. REDtone has a total cash and bank balances of RM47.75 million, while total borrowings stood at RM28.94 million as at April 30, 2017. Still, Lau said REDtone is open to merger and acquisition (M&A) opportunities. “We are always open to explore any M&A that will add value to our business,” said Lau, but did not elaborate. As REDtone’s China operations did not fare well, Lau said the group has exited the market. 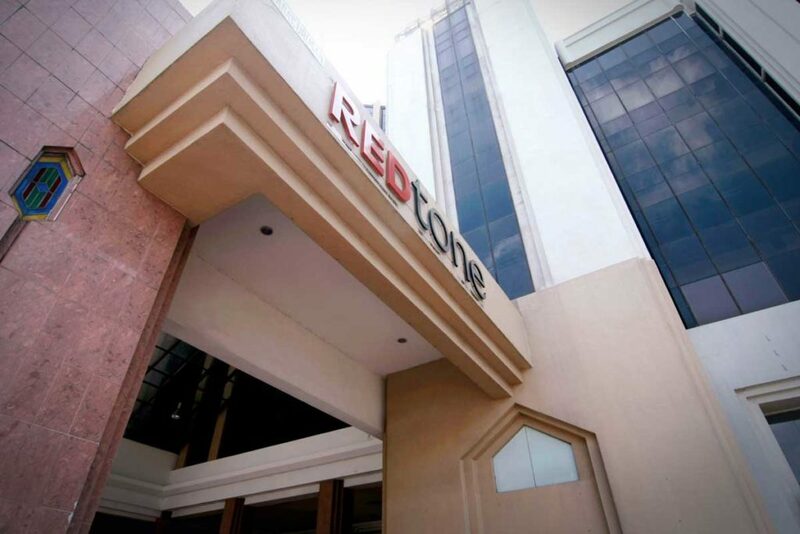 REDtone shares closed down one sen or 2.5% at 39 sen last Friday, bringing a market capitalisation of RM291.76 million.